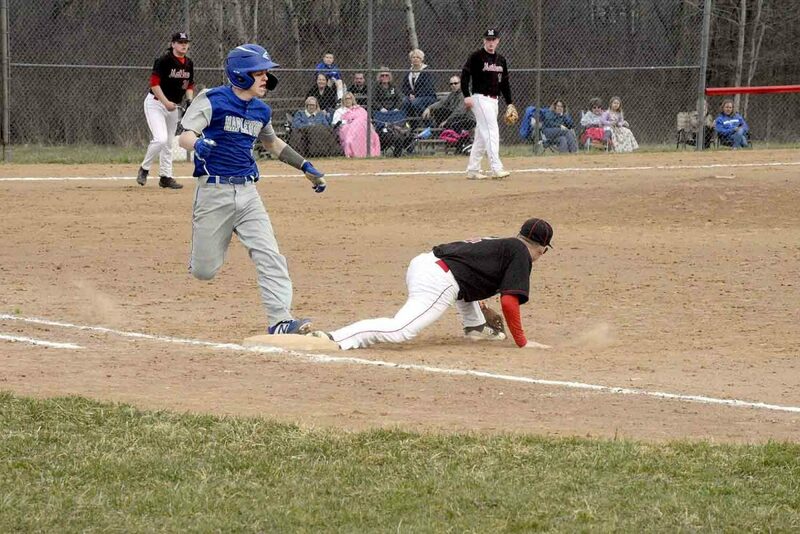 Tribune Chronicle / Brian Yauger Maplewood’s Austin Rae, left, is called out on a close play at first base Thursday in the Rockets’ 7-5 loss at Mathews. 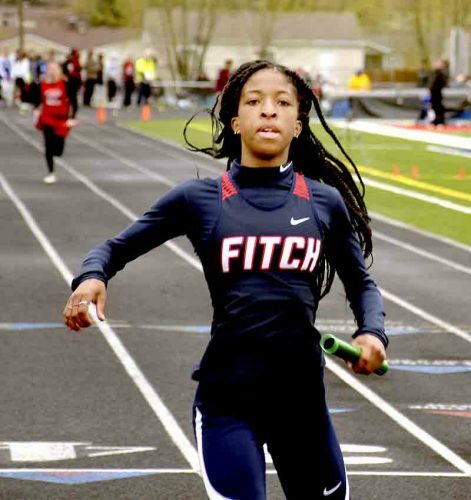 VIENNA — Mathews is no stranger to high-pressure moments. The Mustangs faced another in their 7-5 win over Maplewood. Mustangs coach Jared Terlecky was relieved when the final out was called, for the sake of his blood pressure. The Rockets jumped out to a 3-1 lead which had the Mustangs flustered. Some well-placed hits got seniors Brandon Smith and Jake Miller around the bases to tie the game in the fifth inning. “We got a little discouraged early in the game,” Terlecky said. “They got an early lead on us. They’ve got a good pitcher, several good pitchers, and he pitched a great game. We got a couple hits when we needed them there to tie it up later on and a couple hits later to pull ahead. 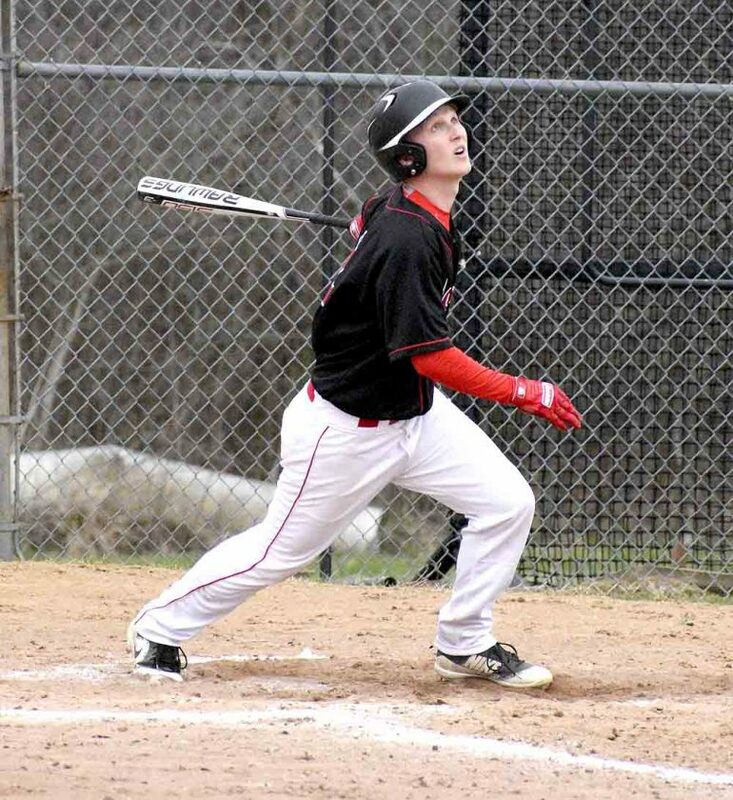 Tribune Chronicle / Brian Yauger Jake Miller of Mathews watches the ball after connecting Thursday against Maplewood. Tied in the bottom of the sixth, Miller knocked in three runners to push the Mustangs ahead, 6-3. Miller wound up crossing home plate to extend their lead to four. Miller finished the game with two hits and rounded the bases twice. Things always need adjusted after a nerve-racking win. Terlecky singled out a few instances from Thursday’s game as examples of what they need to clean up for their tough stretch. The top of the seventh inning is where the stress came in. With two outs on the board, Maplewood brought two runners home to narrow the lead to 7-5. Terlecky had to keep pitcher Hunter Schoenfeld’s confidence up in order to close the game out, visiting the mound twice to talk with his team. Terlecky mentioned how Maplewood’s patience posed an obstacle to closing the game out. Up next for the Mustangs are three games against two tough opponents. Today Mathews takes on local power Niles McKinley before facing Warren G. Harding in a doubleheader Saturday.